Regenerative capitalism challenges the belief that business success and environmental concerns are inherently at odds. For millennia, the finance industry has been a primary culprit in global warming. Now it's time for finance to right its wrongs and provide the solution. It's easy to read about the current and future state of our climate and have a fit of despair. For years, the scientific consensus was that we'd be fine if temperatures increased from pre-industrial levels by less than 2°C. 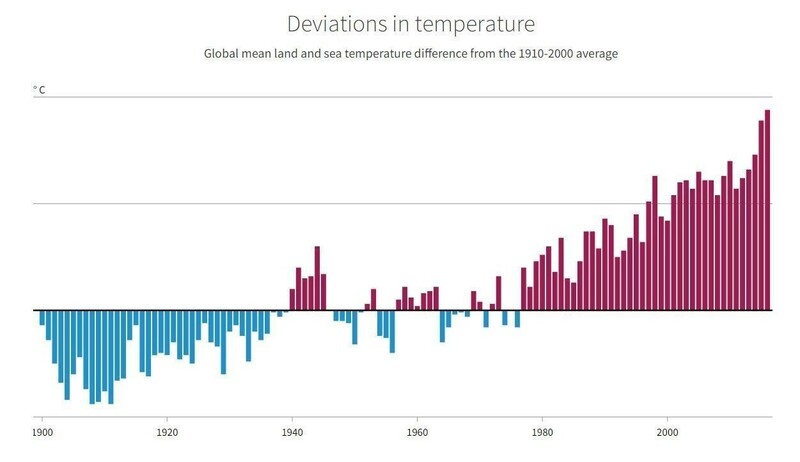 But the UN's recent global warming report revises the threshold, showing that a 1.5°C increase will have catastrophic effects, and that we could experience such effects as early as 2040. Avoiding such a fate would require a global economic initiative that has "no documented historic precedent", the UN report states. Or as Oxford University climate scientist Myles Allen says, we need to "turn the world economy on a dime". This is usually when the despair sets in. It's not that we don't know how to address climate change effectively, it's that the solution - completely overhauling the world economy - seems such a vast, insurmountable task. How, especially in this era of intense nationalism, can we expect the nations of the world to come together and pull off the greatest collaborative feat in human history? Daunting as the project may seem, many of the world's leading economists and finance industry executives have been pondering that exact question for years, and have developed a rough outline for accomplishing the UN's lofty goals. The first step towards achieving a sustainable future is to dispel the notion that environmental sustainability is somehow distinct from financial sustainability. "The degradation of the natural environment presents the greatest challenge faced by humanity", Harvard Business School professor Geoffrey Jones writes in his 2017 book Profits and Sustainability. Humanity includes the financial world, too. "A big challenge moving ahead is redefining business so it can have a more productive impact on the world", Jones tells me in a recent interview. "Figuring out how businesses can productively contribute to societal welfare, including environmental welfare." Former Managing Director of J.P. Morgan John Fullerton calls this new financial system - one in which profits and sustainability coexist and reinforce each other - "regenerative capitalism". It challenges the long-held belief that business success and environmental concerns are inherently at odds. (Indeed, in the US, the Trump administration continues to discredit climate change science and portray it as an impediment to the country's economic goals). Sasja Beslik, Head of Sustainable Finance at Swedish bank Nordea, prefers the term "sustainable finance", but the fundamental principle is the same. He too points out that a financial system that promotes sustainability is actually more financially sound than our current one. After all, a financial institution can't expect to yield any future returns if the world, as we currently know it, doesn't exist anymore. Jones is quick to point out that a socially conscious financial system is not a new idea - it was actually the standard for decades. From the 1920s to the 1970s, Harvard Business School taught its students about the importance of social responsibility. But that was abandoned amid the globalization of the 1980s and 1990s, when financial middlemen flooded the system and muddied the relationship between companies and their individual shareholders. "In that process, both the long-term goals of the [shareholder] and the long-term needs of the management team get lost", says Sarah Williamson, CEO of FCLTGlobal, a non-profit research organization working to encourage long-term decision-making by companies and investors, in a recent Financial Review interview. The challenge facing sustainability efforts such as these however, is that talk can often be general and vague, and short on actionable insights. The word "sustainability" itself has "become an obstacle to environmental protection", Jones argues. "It's become a mixture of vague metrics, a spread of rhetoric and a failure to invest in any kind of system-wide solution." The hollow rhetoric around sustainability - or as some call it, "greenwashing" - is largely an issue of faulty metrics, Williamson argues. Companies measure their financial performance rigorously (and often at the expense of sustainability). But there are no accurate, widely accepted metrics for gauging long-term value creation. And in their absence, it's nearly impossible for companies to make sustainable decisions. Hopefully companies will heed his call, because the issue has never been more urgent. The bleak future of our planet is the result of a "system-wide failure" in our financial system, Jones says, and it will take a similarly systemic change to correct it.